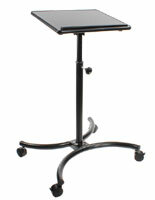 This laptop computer stand on wheels is designed to serve as a desk, workstation, or lectern as needed. 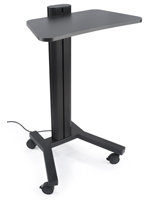 Each height adjustable portable desktop can be set to between 36" and 55" tall for sitting or standing use in schools, offices, conferences, and meetings. 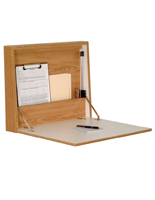 Each mobile computer stand on wheels offers a wide 28" x 18" reading surface can be tilted as needed. 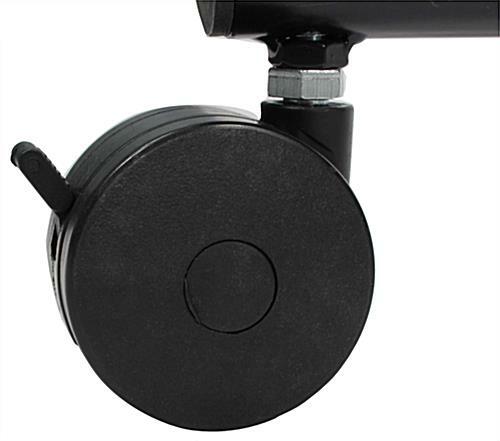 The sturdy black finish MDF top includes a book stop to keep materials or equipment in place during use. 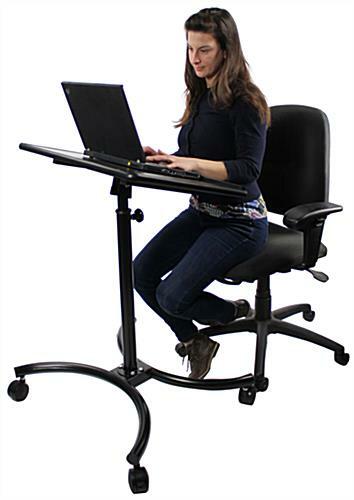 This ergonomic computer stand on wheels has four casters, two of which lock for stability during use. 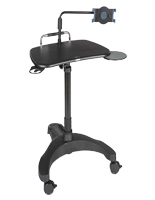 This adjustable height workstation is easily moved between locations, allowing it to serve multiple functions. 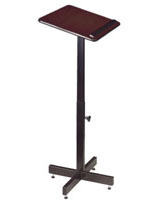 This black finish lectern stand on wheels offers commercial-grade construction for durability. This mobile laptop desk with locking casters is ideal for professional businesses, office presentations, schools, and conference facilities. The black MDF reading surface easily supports presentation materials, equipment, laptops or tablets. 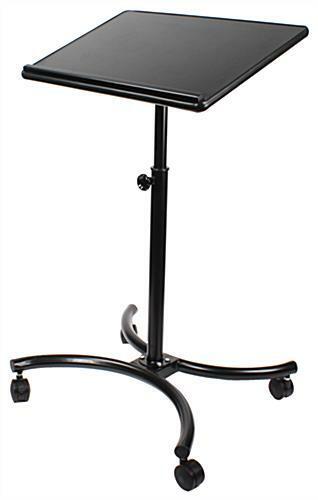 This tilt-top stand on wheels is designed for sitting and standing use as a individual or shared workstation as wel as a lectern. The height adjustability and tilting reading surface make this lightweight, multi-function portable podium a great match for any commercial, professional, or business environment. Solid materials but shoddy manufacturing. Screw holes don't line up for connecting the base to the top. Additionally the holes in the post are drilled so the top is not square to the base. Sam, we are sorry your laptop stand did not meet your expectations. We will have a customer service representative reach out to you.